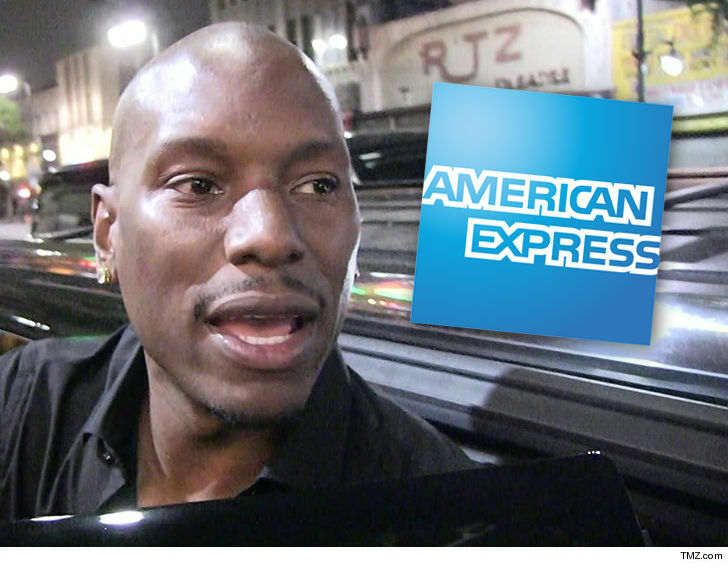 Tyrese just got slapped with a lawsuit for owing a ton of cash to American Express. American Express sued the singer and, according to the docs obtained by TMZ, he owes an unpaid balance of $61,071.35. Tyrese said he was having huge money problems back in November stemming from his ongoing feud with his ex-wife, Norma Gibson. Tyrese had filed docs claiming he pulls in $105,686 per month, but has monthly expenses of $107,576. According to docs he filed at the time, Tyrese said he had nearly $900k in the bank and had real property worth close to $2 million. Of course, Tyrese bought a new $4 million home in Atlanta last year … so we’re pretty sure he can swing the $61k.